There is one thing for sure that Angkor Wat in Cambodia seems to be unrivaled, in comparison with other greatest historic sites in the world. However, once you have paid a visit to this reputable complex of temples that has become a main symbol of the country, it is easy to recognize that highlights Cambodia extend far beyond the walls of Angkor. From the amiable locals with the smiling faces to the charming cities, rich history and culture, as well as bustling beaches, the country is always great and gorgeous in any corner you explore. Hence, Cambodia is often the favorite destination in most of the travelers’ itineraries. So, prepare to be amazed by the country’s rich history, cute kids, exotic foods, and incredible temples! The Royal Palace and the Silver Pagoda: For a lighter experience, both of the beautiful Royal Palace and the Silver Pagoda are well worth a visit. These attractions are located next to each other, which becomes convenient for travels to move. While the Royal Palace complex serves as the royal residence of the King, Silver Pagoda stands out as the most sacred and impressive shrine in the country. If you aren’t ready to enter inside, then the entrance itself is still stunning and nice for photography or even people watching. Wat Phnom: Set on the top of a knoll, Wat Phnom gets its mark as the only hill temple in town. The temple is now a big magnet, since it not only provides visitors the panoramic view of the environs but also becomes a place for the locals to pray for good luck and success. National Museum: For the deeper discovery of the country’s history, then the National Museum is the best fit. Successfully preserving Cambodia’s rich heritage, it offers you a chance to admire one of the world’s largest collections of Khmer sculptures and cultural material. Fishing Port: The fishing port is where many fishing boats and small local boats dock, instead of the main port area. So, it is wonderful to capture shots about the surrounding which is beautified by a whirl of colors and local activities. The Independence Square: The Square becomes a busy gathering place every day since it consists of an open meeting hall on Independence Street (Ekareach Street). Walking across the street, and you will find a small park that includes a small shrine and the Independence Monument (Vimean Ekareach). Golden Lion Monument: Also called Vimean Tao Meas, the monument is a marvelous landmark in Sihanoukville. Situated in the heat of the traffic circle, the surroundings around the monument become a popular evening hangout for everyone, especially the local teens. Kbal-Chhay Waterfall: The Kbal Chhay Waterfalls are, in fact, a series of many different waterfalls and chutes on the Prek Tuk Sap River. At weekend, the area becomes crowded when local picnickers gather here to enjoy their day. Although best known for the imposing ruins of Angkor, Siem Reap is still exceptional by an array of ruins, temples, canals, and reservoirs, making up one of Southeast Asia’s most significant archeological sites! Hence, it is no wonder why the town has attracted a huge number of tourists every year. These magnificent ruins are certainly a big magnet that visitors find it hard to resist, but spending your first day immersing in the beauty of the town is highly recommended. Siem Reap can lack in size, but it by no means lacks in both history and entertainment. The tiny town is so lively and chaotic that one blink may even result in missing something interesting. Packed with day and night tours, hostels and hotels, plenty of exotic food and night time parties, there is a lot more to do here beyond Angkor. While Siem Reap is fast developing with resorts, restaurants, and malls, you can still see the old of the city at every corner you go. To get the most out of this tourist wonderland, the top list of things to see and do below can help. Angkor Thom: One of the Khmer sites located a few miles from Angkor Wat is Angkor Thom. Of course, there are fewer tourists but the site is still more alive. Just remember that Angkor Thom is a whole city, not “another temple” you will visit. Angkor Thom refers to what once was the capital of the Khmer empire and also includes a whole host of temples and sites of historical interest. Thanks to a collection of temples and buildings inside, a visit to Angkor Thom makes it easy for guests to imagine the life there. 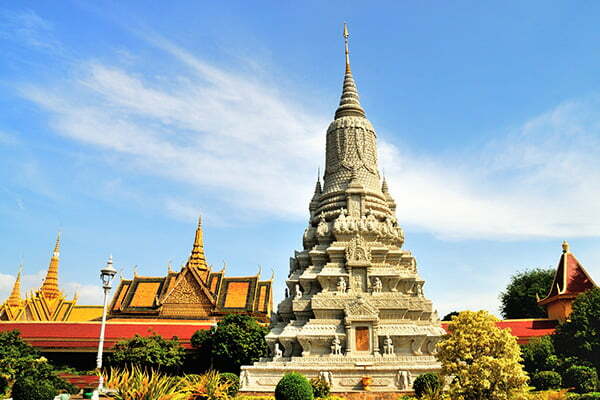 Other attractions around the city are the South Gate, the Bayon Temple, the Phimeanakas, the Royal Enclosure, the Terrace of the Elephants, and the Terrace of the Leper King. Angkor Wat: You cannot complete the list of highlights Cambodia without recommending a visit to the Angkor temple complex. Make sure to explore deeply what used to be the heart of the Khmer empire as well as what still is the spiritual center of Cambodia today. Whether contemplated at sunrise or sunset, this UNESCO World Heritage site is still glowing and eye-catching, worth the cultural highlight of Siem Reap. Phnom Bakheng: For history buffs, this is one of the oldest temples in the Angkor complex. As a temple mountain with a 60-meter high hill, Phnom Bakheng now becomes a popular tourist spot for tourists to contemplate the magnificent sunset over Angkor Wat. Banteay Srei temple: This is a well-preserved temple and its beauty does distinguish it from the rest. While the pink stone is beautiful and photogenic, you can see the boards describing its history at the entrance. Ta Prohm: As a part of the Angkor complex, Ta Promh often catches special attention. 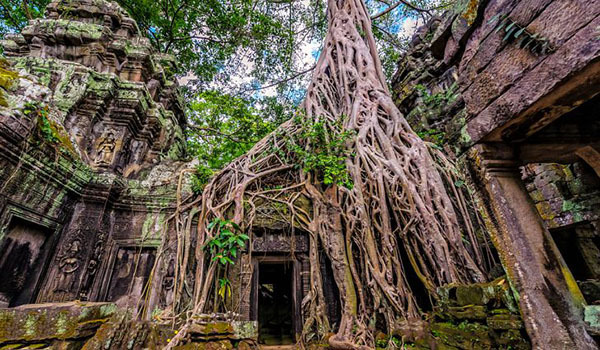 Unlike other restored temples, such architectural masterpiece has been left to endure harmful effects of trees, jungle vines, other plants, and the environment. But, its raw beauty and its 39 towers become a huge draw for those visiting Angkor. Roluos Group: The Roluos Group is known as a collection of 4 Angkor-era monuments. These monuments are Bakong, Lolei, Preah Ko, and Prei Monti. Why these 4 temples are important is that they are the last remains of Hariharalaya. So, visiting the group is really meaningful and knowledgeable! Eastern Mebon: Standing out as a huge temple-mountain-like ruin, Eastern Mebon firstly leaves on you the strong impression by its exterior that rises 3 levels and crowned by 5 towers. The temple is, in fact, dedicated to Shiva in honor of the king’s parents. Preah Khan: The Preah Khan temple complex is also one of the most significant and spectacular buildings during the ancient Khmer empire. Dedicated to Jayavarman VII in honor of his father, Preah Khan today serves as a prominent example of a large linear temple in a dense jungle setting. In short, though Cambodia is just a small country in the Indochina region, it stills satisfies those who are willing to go off the beaten path through dozens of highlights Cambodia. What activity do you want to participate in? 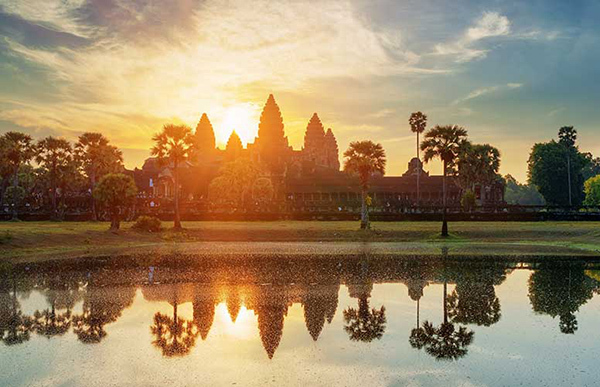 Marvel at the magnificence of Angkor? Visit many historic museums? 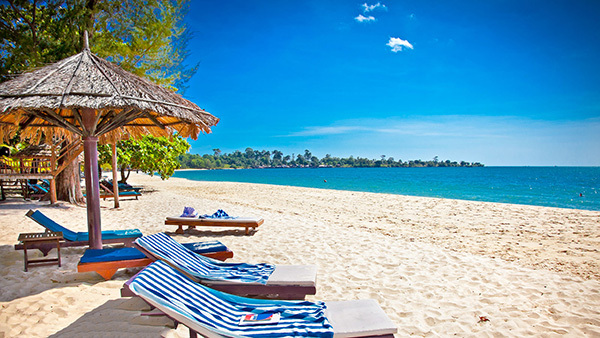 Or simply immerse yourself in the white sandy beach of Sihanoukville? No matter what choices you consider, let’s remember that each landmark rewards you with a meaningful experience. Nice trip, dear tourists! Steps Towards an Environmental Friendly Ardh Kumbh Mela 2019!